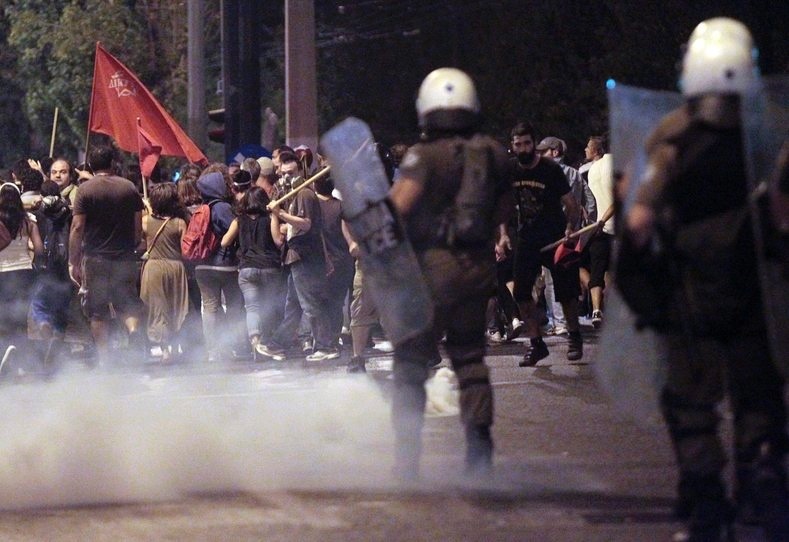 As the ongoing Golden Dawn trial exposes the extent of fascist reach in Greece, teleSUR talks to prosecution lawyer Thanasis Kampagiannis about the importance of anti-fascist movements and just how deep state collaboration with Golden Dawn goes. There is a common thread that runs from France’s National Front to the U.S. presidential candidate Donald Trump: hate speech and the use of fascist rhetoric. Hypernationalism as an antidote to globalization; the use of xenophobia for political gain; calls for, or an acceptance of violence in certain situations; and demands for strong leadership are all on the rise, especially in Europe, despite the fact the memory of fascist governments under Hitler, Mussolini and Franco looms. In the lead-up to International Holocaust Remembrance Day, teleSUR spoke with Greek lawyer Thanasis Kampagiannis who is involved in trails agsint Golden Dawn, deemed by many the most explicit examples of the rise of fascism in Europe, though the ultra right-wing is growing in presence in France, Ukraine, Germany, the United Kingdom, Hungary, Sweden, Holland to name a few countries. Kampagiannis ​told teleSUR that “We cannot overstate the importance of having a vibrant, massive anti-fascist and antiracist movement to both confront the fascists but also to shape public discourse, public dialogue around immigrants and refugees.” teleSUR spoke with prosecution lawyer Thanasis Kampagiannis about the trial, fascism in the 21st century and the specific problems Greece has had to face. Listen to the whole interview here. 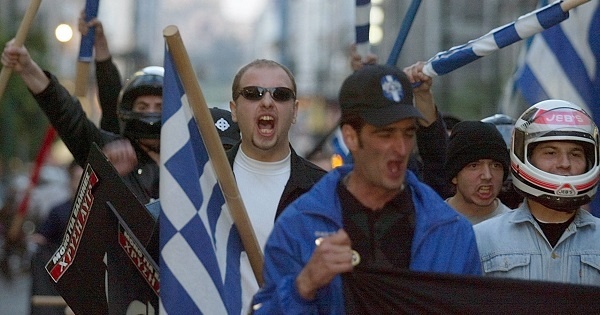 Members of ultra right-wing organisation ‘Golden Dawn’ demonstrate in central Athens, April 29, 2002, to support French presidential candidate Jean-Marie Le Pen. | Photo: EFE. The Golden Dawn movement enjoyed relative obscurity after its founding 1980, allowing it to carry out brutal attacks during the 1990s and 2000s. But its popularity and legitimacy soared after Greece was struck by a deep economic crisis, to the extent that in 2012 it became the third largest party in Parliament, with 21 seats. Golden Dawn has been unable to capitalize on the fact that so many refugees are coming to Greece. But hopes for more growth were dashed after a huge anti-fascist movement shed light on the breadth and reach of Golden Dawn’s members’ crimes, with things coming to a head after anti-fascist rapper Pavlos Fyssas was murdered in September 2013. Sixty-nine members of the group, including all Golden Dawn lawmakers, were arrested for either violent crime — including Fyssas’ murder — or being part of a criminal organization, or in some cases both. 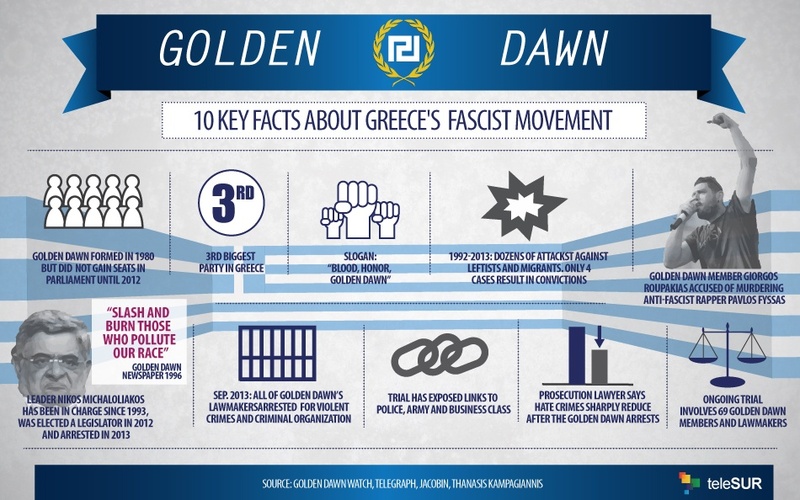 Golden Dawn Watch, a body set up to monitor the ongoing trial that began in April 2015, which has exposed deep links to the state apparatus, including the police, the army and business, publishes trial updates and is a good place to find out facts and figures in English. 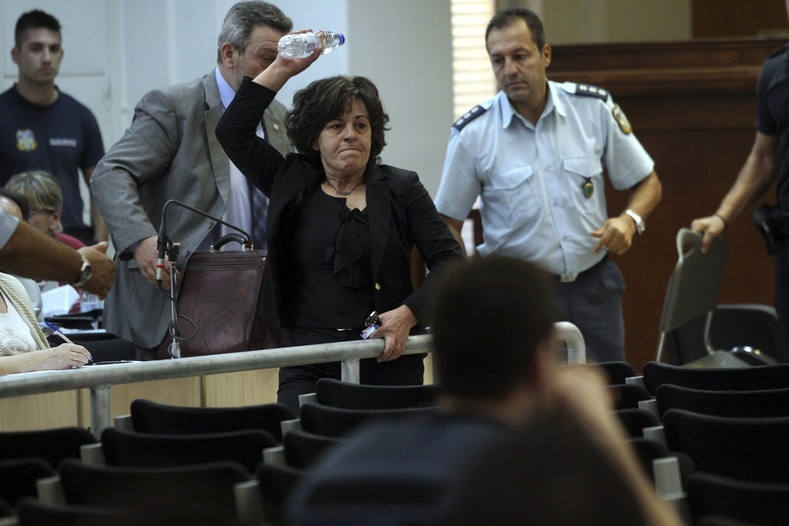 Magda Fyssa, mother of Pavlos Fyssas hurls a bottle of water against the Golden Dawn member accused of his murder in the court where the trial of the ultra right-wing party is taking place, Athens, Greece, Oct. 6, 2015. Fyssa hurled the bottle shouting, “take this so that you remember me,” as she completed her two-day testimony. | Photo: EFE. In spite of this scrutiny, after a turbulent few years with several elections, Golden Dawn’s popularity is steady at around 6-7 percent nationally, while 5.6 percent of Athens voted for the fascists in the September 2015 elections, when the party held 18 seats even with the ongoing trial and a massive anti-fascist movement. 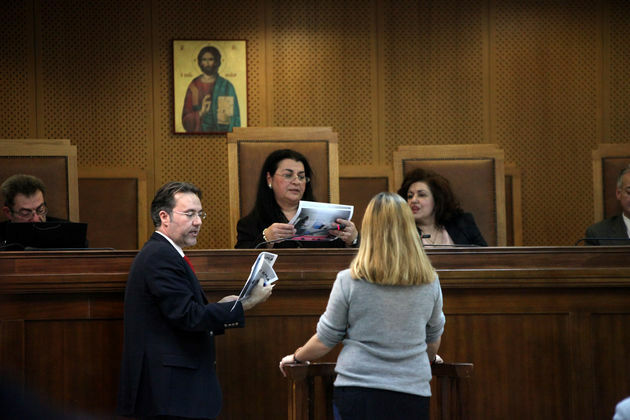 In the trial, Kampagiannis is specifically representing a group of Egyptian fishers who were attacked in their house by a group of around 10 Golden Dawn members in June 2012, whose case forms part of the larger trial. The lawyer confirmed that as long as the trial continues, the more Golden Dawn members will be relased from custody. Fyssas’ alleged killer, Giorgos Roupakias, is approaching the 30-month maximum to be held for two fellony charges and will be released in March, Kampagiannis confirmed. 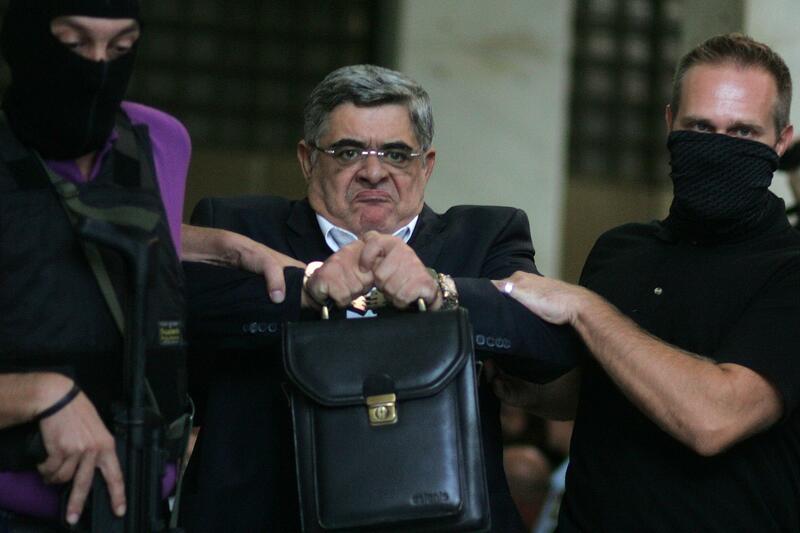 Thanasis Kampagiannis in court during the Golden Dawn trial | Photo: Thanasis Kampagiannis. Nevertheless, Kampagiannis explains, the movement has made massive inroads in its 36 years of operation, in infiltrating state apparati. “Golden Dawn has direct links with the Greek police. This is now something that is being revealed during the trial … the policemen and policewomen who were present when the Golden Dawn security squads was murdering Pavlos Fyssas … did not intervene until after Roupakias stabbed Fyssas.” The movement even made huge strides to “control localities, neighborhoods, especially neighborhoods with lots of immigrants,” Kampagiannis said. Anti-fascist demonstrators scuffle with riot police after a demonstration in central Athens, Greece, Sept. 25, 2013. | Photo: EFE. 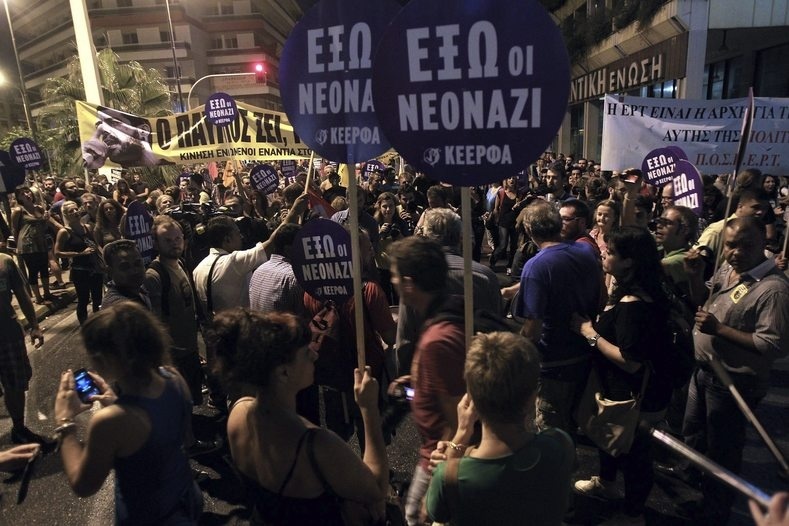 However, the Syriza party, whose move toward the anti-fascist movement “was pretty important for the defeat of Golden Dawn back in September 2013,” has since “retreated to a position that says that now it is in the hands of the judiciary and we cannot say a lot.” The retreat of Syriza happened once the party got into power. Kampagiannis believes the anti-fascist movement has “to keep on pressing” to ensure that the setbacks for Golden Dawn becomes a permenant defeat. Protesters march to the offices of far-right wing party Golden Dawn during an anti-fascist demonstration in Athens, Greece, 25 September 2013. | Photo: EFE. 27/01/2016 in International, Δίκη Χρυσής Αυγής, Πολιτική Αγωγή.